In the mood for a laid-back escape? 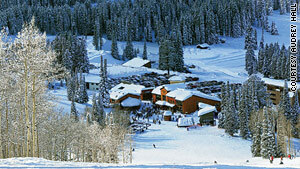 Teewinot Lodge makes a homey basecamp on Grand Targhee Mountain. (Sunset) -- From a low-key ski destination to a Hawaiian yurt retreat, we've got the easy-going vacation for you. Skiing like you remember it: Mountains like Grand Targhee are a dying breed: No parking lot hassles, no mile-long schlep to the ticket window, no $20 hamburgers. Off the grid on the coast: At Glendeven Inn, just south of Mendocino in Little River, your cell signal obligingly vanishes when you pull in the drive, and there's not a remote control in sight. Which means you'll have all the time in the world to hike along the headlands of surrounding Van Damme State Park, scatter some corn for the inn's chickens (it's only fair -- you'll be eating their eggs come morning), and introduce yourself to the resident llamas. A yesteryear lodge in the woods: Along the Little Colorado River in Arizona's White Mountains, tiny Greer is the kind of community where elk and deer outnumber human residents -- the perfect place to hide out. Greer Lodge's 11 rooms, all knotty pine and log walls, have luxe touches and fluffy beds that make you want to curl up and get cozy, but they're blissfully free of TVs and phones. Hidden Hawaii: Way up at the northern point of the Big Island, past the fancy resorts everyone has heard of, there's a lush and little-known area of former sugar towns. About a year ago, the Hawaii Island Retreat opened nine rooms in a green valley here. Now, its just-finished, solar-powered "yurt village" has put the hidden retreat firmly within reach for any budget. Seven sturdy tent bungalows stand next to a saltwater swimming pool, spa, shower house, and organic garden. Warm up in a snowy mountain cabin: Reclaim winter's quiet at Tamarack Lodge, where charming cabins with fireplaces and patchwork quilts hide out among the trees just outside Mammoth's resorty core.